Excited to back as part of the Roma Wine Bar music series! Join us in Willernie Friday 4/4. 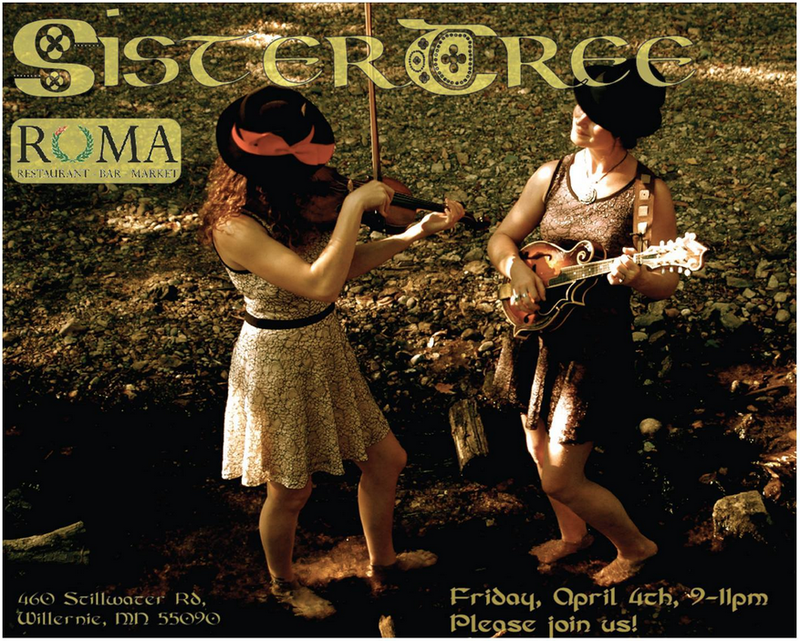 Previous PostSisterTree will join My Cousin Dallas at the Terminal Bar in Mpls Saturday, 4/5Next PostDuluth weekend!